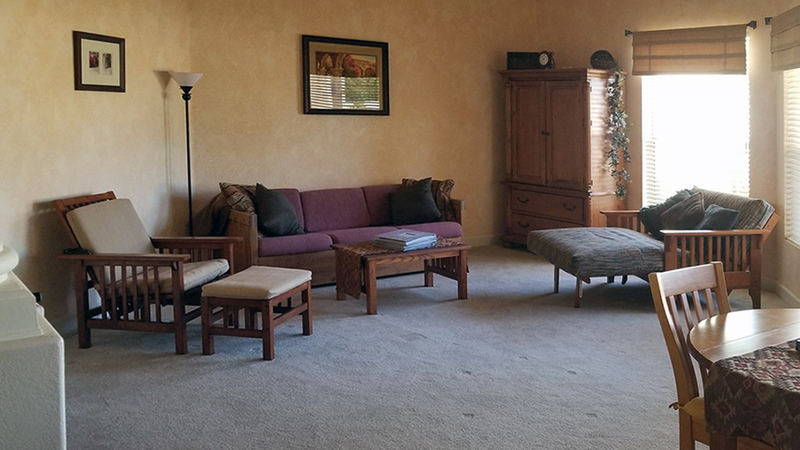 See the dramatic results in our before and after sliders for a recent large-scale remodel. 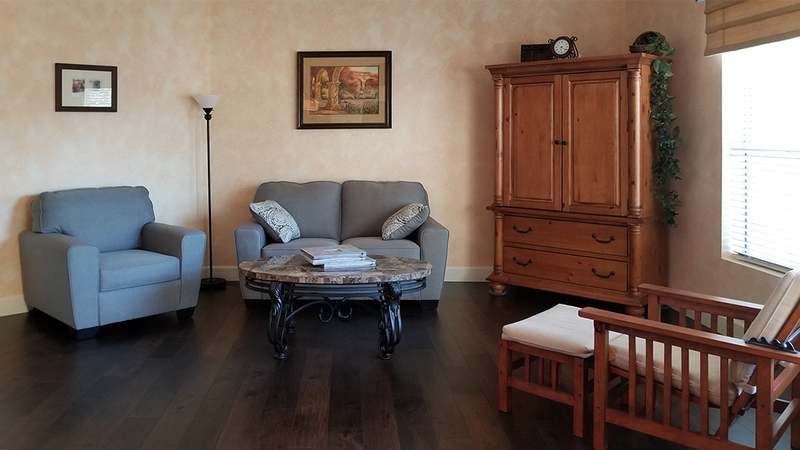 Interior Remodeling by Simmons creates beautiful living spaces. 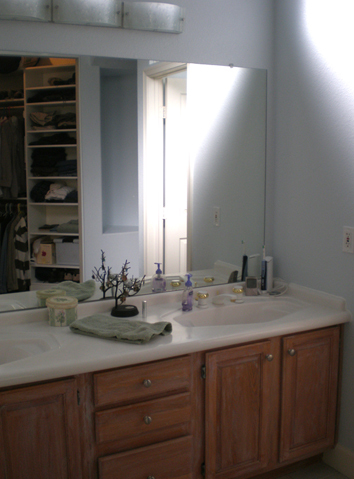 Before and after pictures can show dramatic results. Drag the white bar left and right to see the dramatic differences. 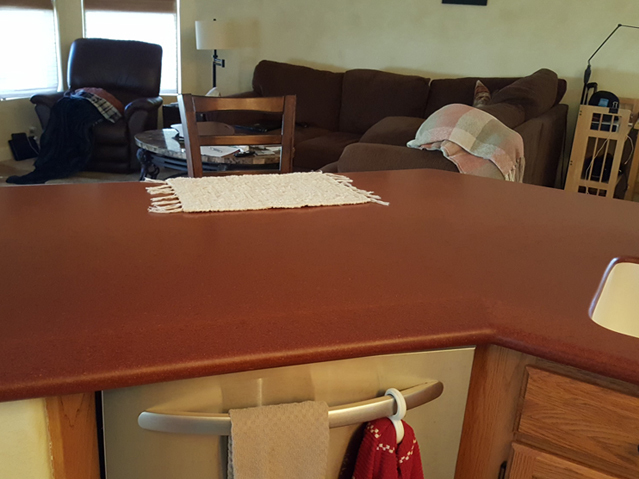 This outdated kitchen had rust-colored Corian countertops, backsplash and sink. 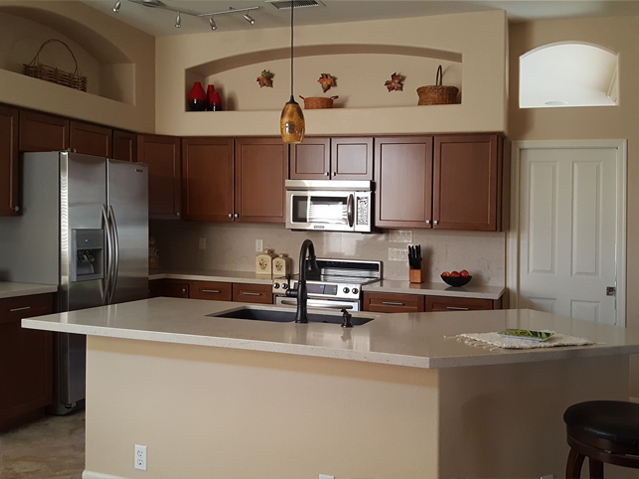 They were replaced with Quartz with a full wall backsplash. The Elkay brown sink and Delta faucet compliment the entire kitchen. 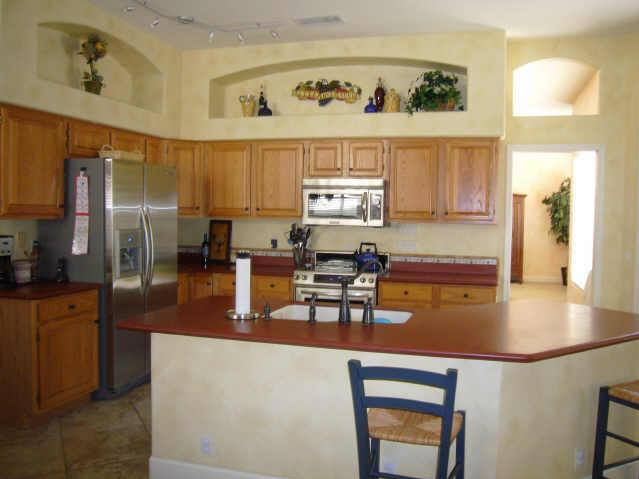 The cabinets were refaced with a modern shaker style and stained to make countertops pop! 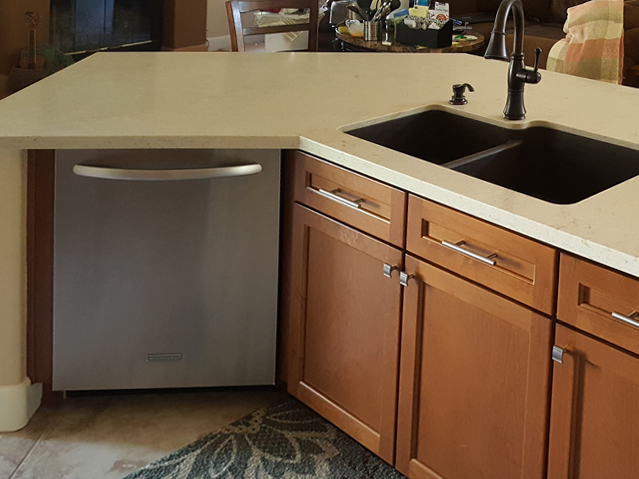 Rust-colored Corian countertops with bullnose edges and white sink was replaced with Ceasarstone Quartz counter tops with modern mitered edges. 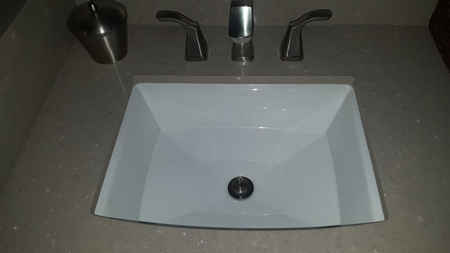 The Elkay brown sink and Delta faucet compliment the entire kitchen. 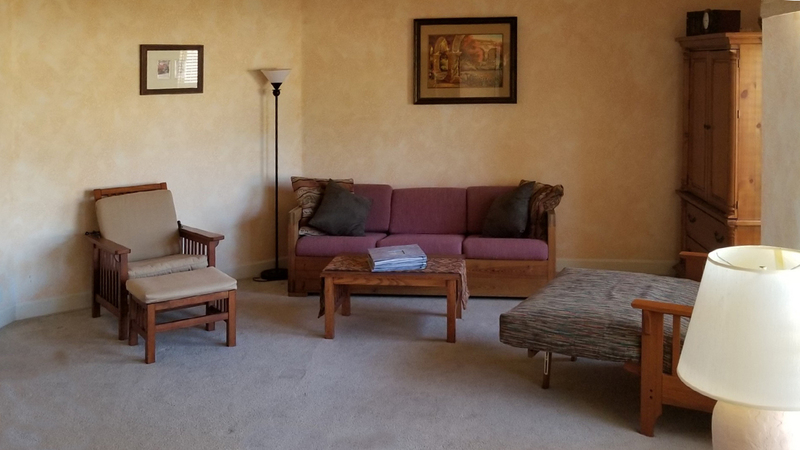 The old living room carpeting was replaced with more stylish wood flooring. 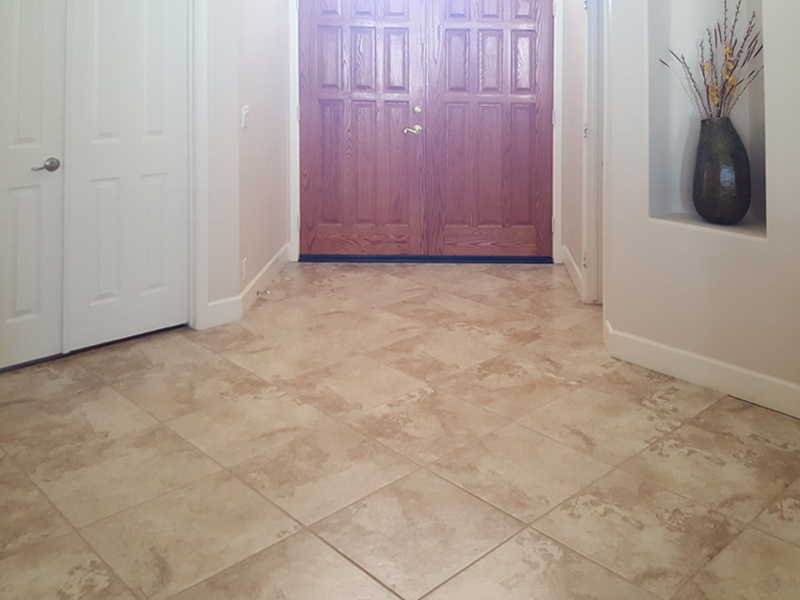 The ‘before’ picture shows a Tavertine-like tile placed diagonally with wide grout. 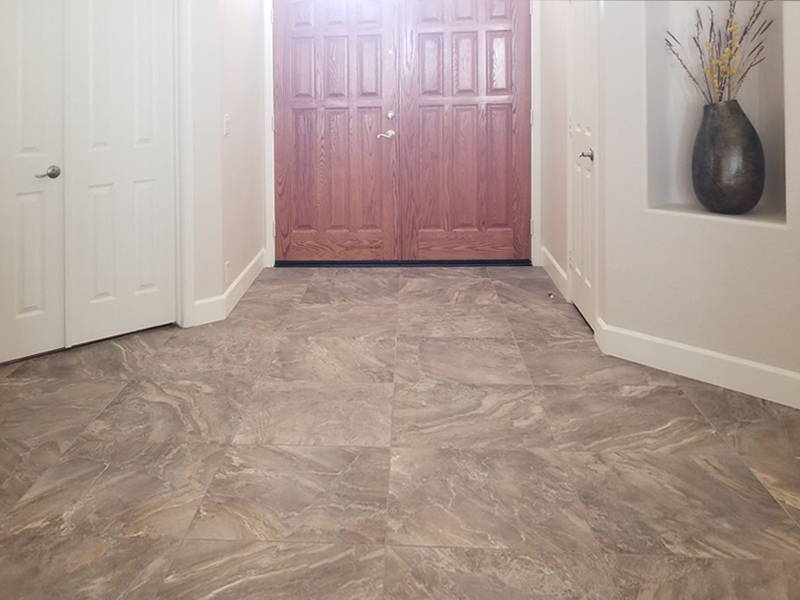 The ‘after’ picture shows the 24″ stone-look porcelain tile set in a parallel formation with narrow grout. 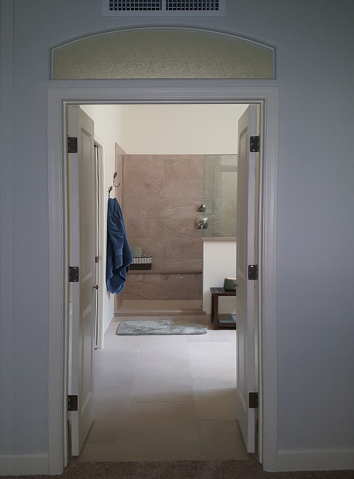 This tile is so versatile and combines a variety of colors to coordinate with its surroundings. 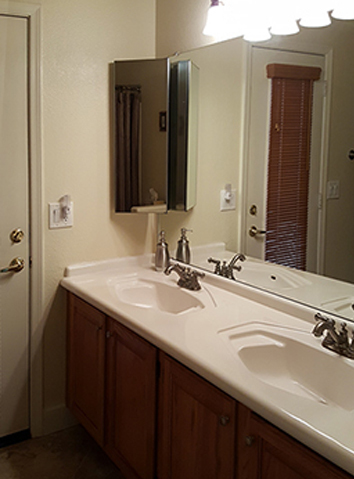 This master bathroom was totally remodeled. 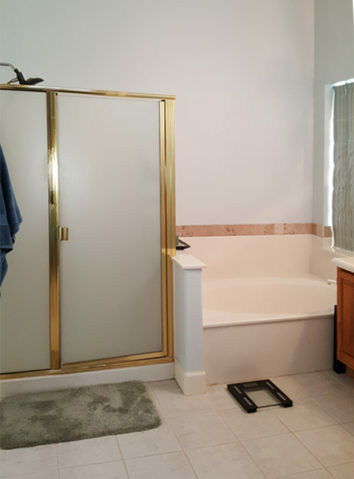 A large walk-in shower created by removing the tub and block window, and moving the shower fixtures to the opposite wall. 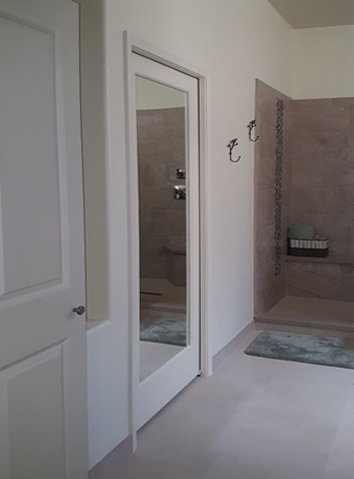 The floor was re-tiled and pony wall built to support the glass shower wall. 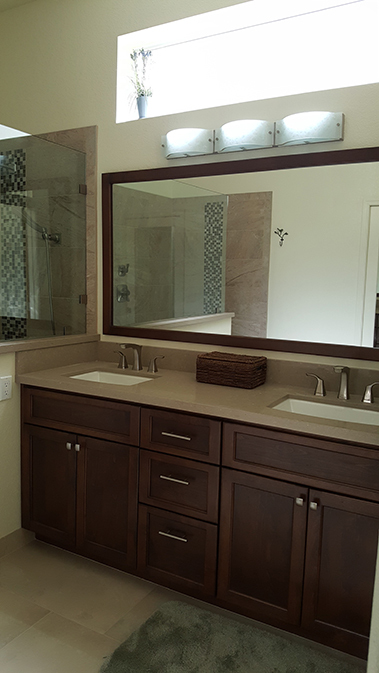 The custom built vanity has a quartz counter top, a 5″ back splash and undermount sinks. 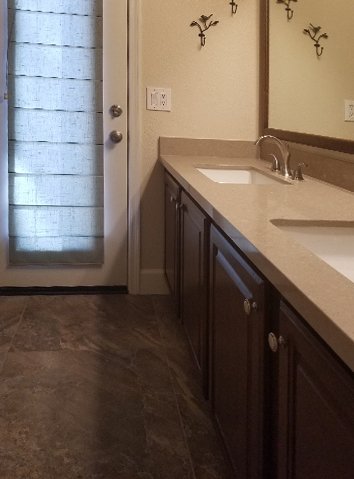 The Delta fixtures compliment this area beautifully. The floor was re-tiled and ponywall built. 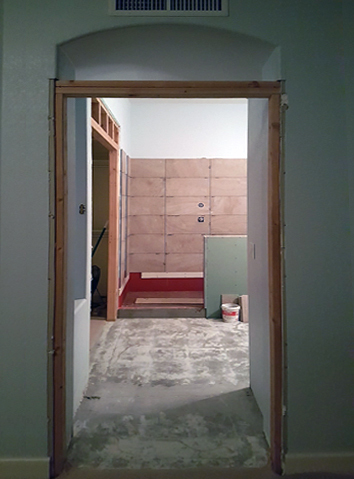 From this view, you can see the custom-built medicine cabinet inset in the wall. 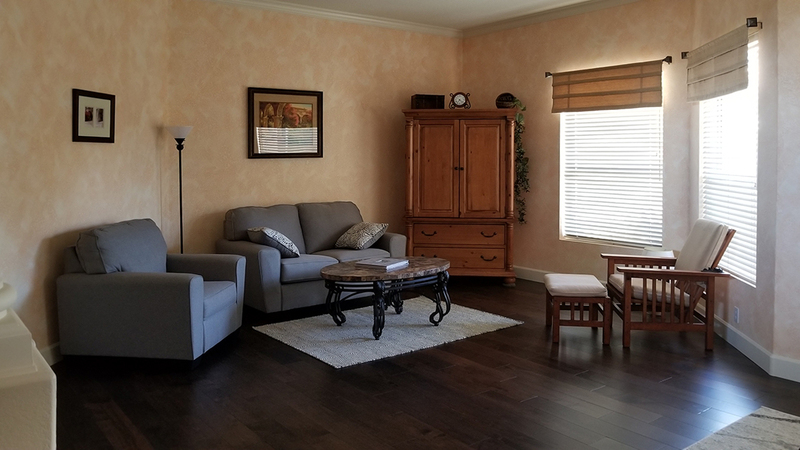 French doors were added to this arched entryway. Textured arched glass added above doors keeping out the drafts. 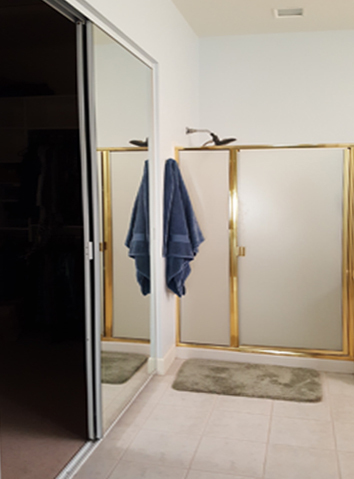 A stylish wood-framed mirrored pocket door (mirrored on both sides) was built to replace the 8-foot tall mirrored bypass doors. This allowed for more usable wall space both inside and outside of closet. 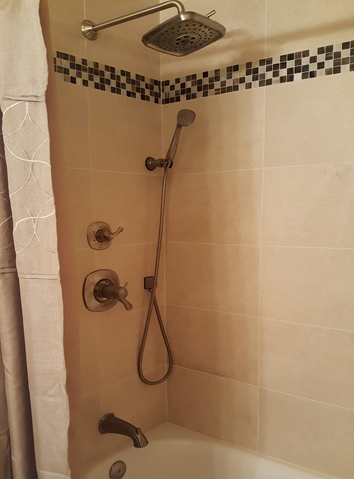 The hall shower was updated as well. 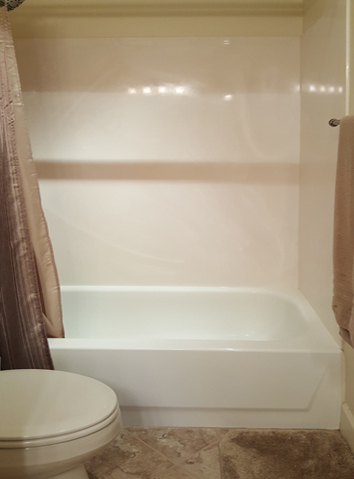 The fiberglass tub and surround were removed. 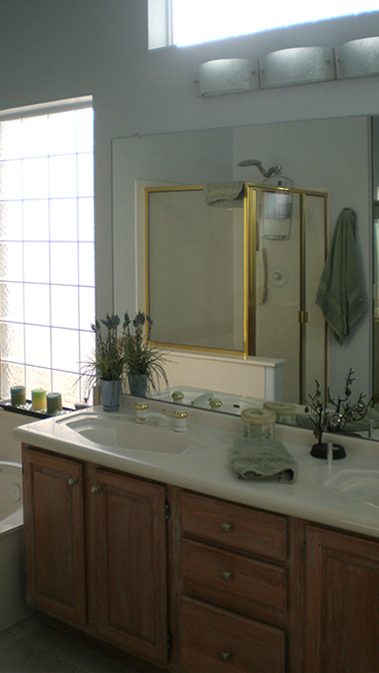 A new porcelain tub with beautiful tile surround includes a glass 1″ x 1″ tile decorative trim. 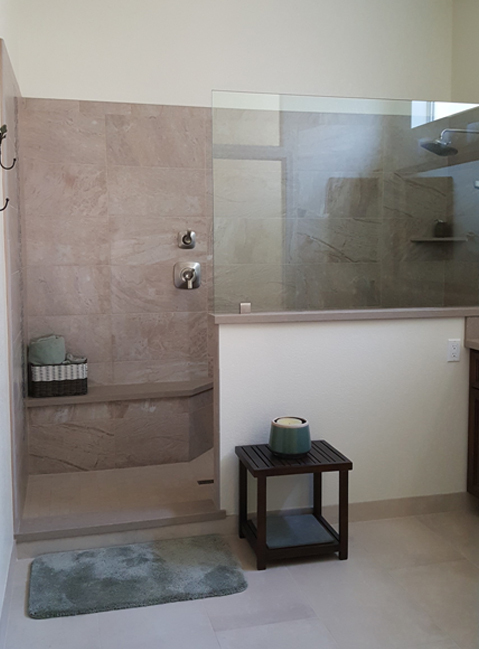 The Delta shower fixtures and curved curtain rod top off the modern look. 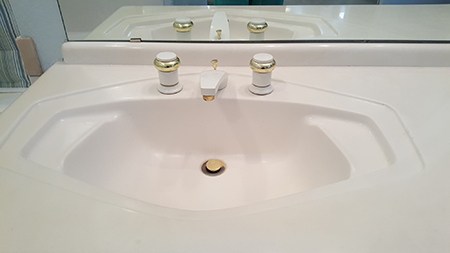 The molded white sink and mirrored corner medicine cabinets were transformed with a quartz counter-top, taller back-splash and undermount sinks. The Delta faucets are a welcome update. 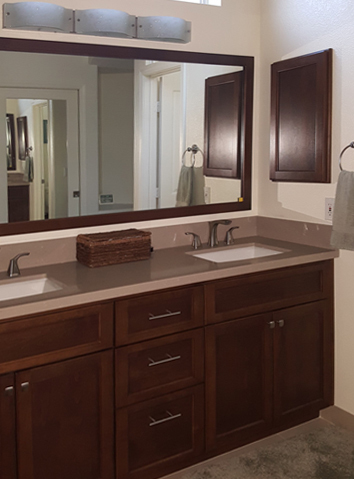 A framed mirror and wall inset medicine cabinet were built to match the existing vanity.